Comment: Would like to raise the walkway and use the same pavers. Comment: I would like to get an estimate for Have asphalt that is in bad shape need to replace. Comment: length of 20 feet or so and approx 30 inch wide concrete pad that is cracked in the middle. It is a pad that (2) 150 gallon propane tanks sit on. Apparently the ground underneath has settled and the pad has cracked in the middle. Probably will need some type of re-bar or something to strengthen the ground sufficiently. Coopersburg Concrete Contractors are rated 4.68 out of 5 based on 1,320 reviews of 42 pros. 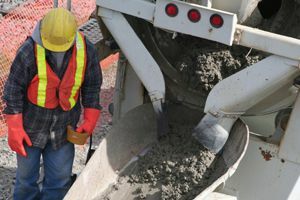 Not Looking for Concrete Contractors in Coopersburg, PA?